Bombae Earrings are the bomb! 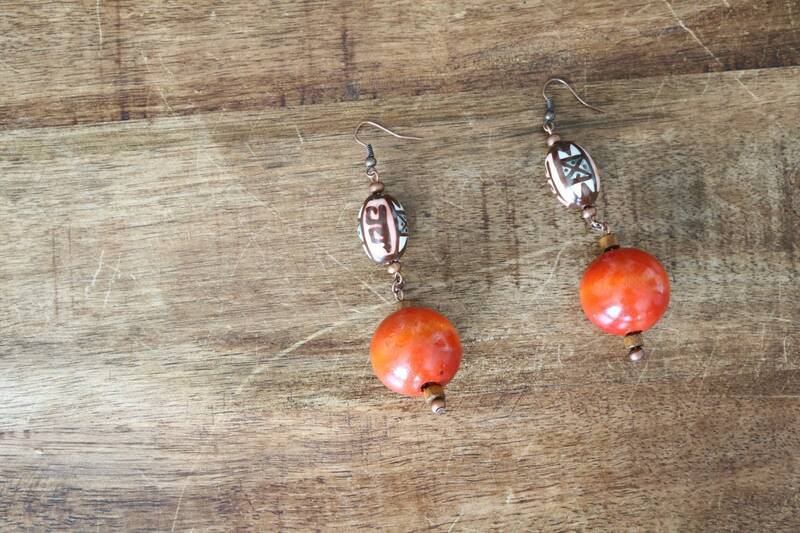 These earrings are a mix of different feels, rustic chic, tribal, and natural. There’s a warm palette of brown, greyish blue, and deep rust orange. What you’ll love: these earrings are big in style and light on the ear. Made with a porcelain and a wooden bead that are just the right weight. Plus the color play is an explosion! Make matches and pairings that give you a custom one of a kind look that people will rave about!